Select a bodystyle to begin searching. Sometimes it is easiest to just give us a call. Use Preferred Purchase Online to shop from your home. When shopping for a new Acura, we know that you have high expectations. As one of the premiere used car and new Acura dealerships in Escondido (and happily serving Carlsbad, San Diego, Temecula and San Marcos, CA), there’s nothing we enjoy more than the challenge of meeting and exceeding those expectations. With a large inventory of models, including this year’s Acura TLX, RLX, ILX, MDX, RDX, we’re sure we have the perfect Acura for you. You’ll also find a team committed to ensuring that you find the right vehicle for you. On our end, that means answering questions, comparing models, and getting you behind the wheel for a closer look. We also offer our clients a number of Certified Pre-Owned Acura models and quality used cars. Each model has been carefully inspected to ensure the highest quality that will exceed your expectations. 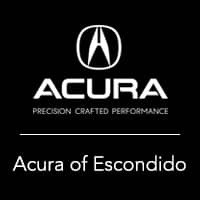 Acura Of Escondido has you covered with a section of used cars available now, at our Escondido showroom.